Apparel embroidery, HI-VIS and traditional workwear embroidery, screen printing, pad printing, heat press digital sport numbering, digital and plastisol transfers, individual names digitaly transfered on to the garment, general promotional products....and much more. Our extensive printing capabilities include high quality of single spot color up to 4 spot color decoration. 3-5 day turn-around services. Rush jobs 24-48 hrs. 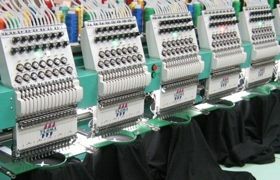 With the absolute latest in embroidery equipment, tools and digitizing software, we produce great-looking embroidered items and we can stitch your company logo, names, and phrases quickly and professionally at affordable prices! Our Full colour transfers can be applied to Cotton, Polyester, Poly-Cotton, Nylon and Paper. German made technology ensure briliance and vibrancy of the colours to highest possible level. Ideal for short run production. No setup fee if artwork supplied per our specification. 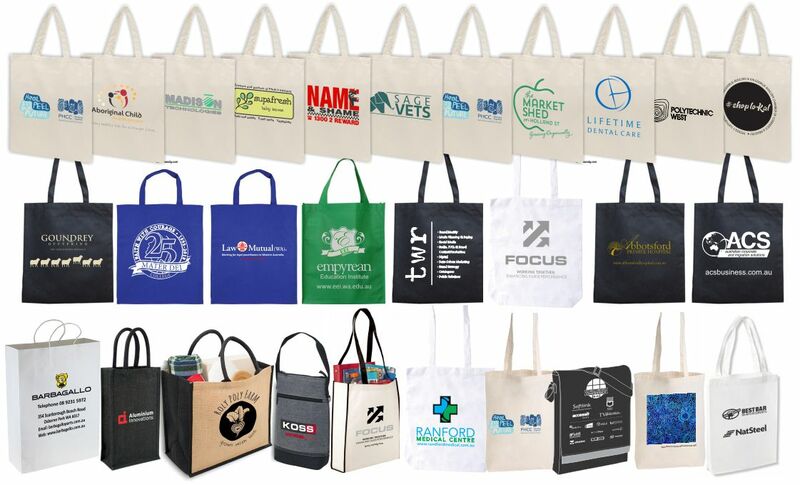 At Matchless Print we supply and decorate all types of shopping and conference bags. 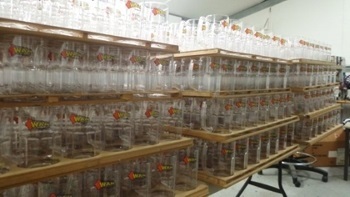 Decoration Methods: Screen prining, Plastisol Transfers, Full Colour Digital Transfers. At Matchless Print we decorate T-Shirt supplied buy customer or supply and print our own T-Shirt. If you are looking for a way to place names and numbers on youre your school uniforms of team uniforms, you are in the right place! We at Matchless Print specialize in custom printing numbers, names and logo embroidery onto sportswear and all other custom apparel. selection of sports uniforms. Contact us for details. Wholesale prices for screen printers available. The cheapest form of printing on clothing. When considering screen printing on clothing, please note that there are limitations in reproducing fine detail and colour registration because we are printing on flexible, coarse weave material. Sometimes logos must be simplified or altered to give better registration, and if this is the case you will be advised by Email or phone. 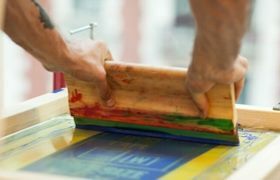 Plastisol transfer is used when detail is too fine for screen printing. Pad printing transfers a 2-D image onto a 3-D object. Used for printing on to small promotional products like pens, key-rings, stress items, rulers, calculators, golf balls etc. Could be expensive if printed in multi colour on small runs. are multi-color and photo quality. The digital printing process is capable of hitting over 10,000,000 colors. 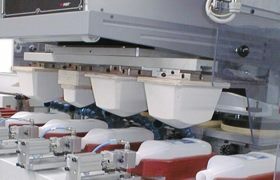 Digital heat transfers from are bringing the advantages of digital transfer technology to an increasing percentage of the product decorating industry. 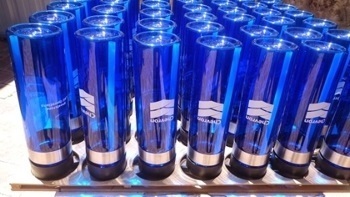 One Stop Shop for promotional decoration. Embroidery, Screen Printing, Full Colour Digital Transfers, Promotional Pad Printing, Branded Clothing and Promotional Merchandise. With over 20 years of expirience in promotional decoration industry Matchless Print provide top quality embroidery, screen printing and pad printing services in Perth, Western Australia. We are conveniently placet just 5 km from major industrial ares Balcatta, Wangara and Malaga. We are embroidery screen printing and pad printing specialist for Clothing Embroidery, Workwear Embroidery, Heat Press Digital and Plastisol Transfers, Sport numbering and general Promotional Products....and much more. We pride ourselves on the some of the fastest turnaround times in WA while offering high qaulity customer service and competitive prices. When everyone else talk about weeks we talk about days. We think that our embroidery, screen printing and pad printing service is as good as anyones...if not better. If you do not want to listen about problems and you want to see results choose us, Matchless Print your one stop shop for promotional decoration. 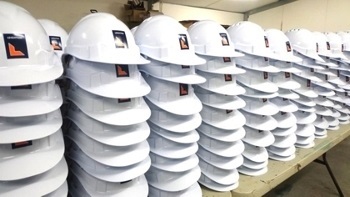 Proudly Western Australian family owned and operated, we source and supply the most extensive range of premium clothing and promotional products from Australia and offshore, waiting to be branded to your specification. From embroidered polo shirts, embroidered corporate wear and traditional workwear, printed or embroidered bags, embroidered headwear, printed ballpoint pens and USBs to high-end executive gifts, if it can carry an advertising message, we can brand it for you.